Allemang was promoted by the Hamilton Tiger-Cats to Senior Director of Personnel and Co-Manager of Football Operations January 3, 2019. 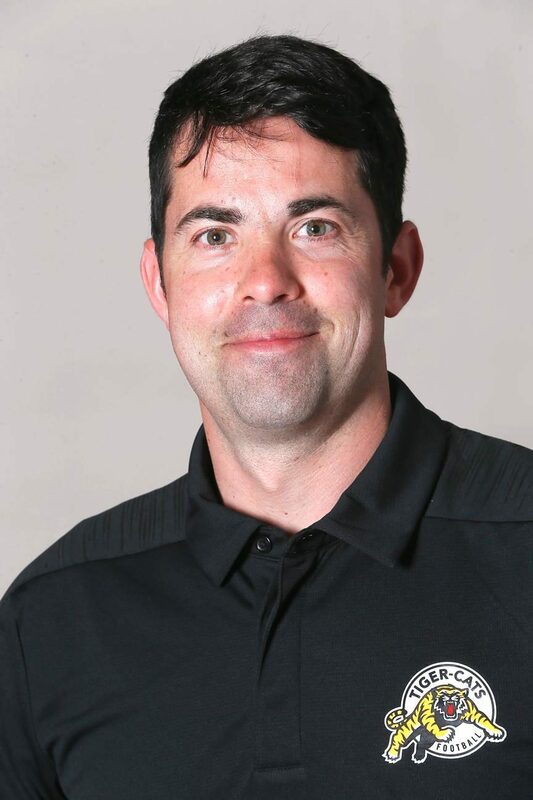 He has been a part of the Tiger-Cats football operations department for 11 seasons, most recently serving as Assistant General Manager and Director of Canadian Scouting since 2016. Allemang previously held titles of Director of Canadian Scouting, Coordinator of Canadian Player Development and Head Canadian Scout, and Coordinator of Football Operations with the Tiger-Cats. He also worked as the team’s Assistant Equipment Manager in 2008 while volunteering with the personnel department. In addition to his new increased role in personnel, the Hamilton, Ontario native will continue to lead the team’s scouting strategy in Canada as well as the preparation for the annual CFL Draft. Allemang’s father, Marv, was an offensive lineman with the Ticats in 1978 and from 1982-86, playing a key role in Hamilton’s Grey Cup Championship in 1986. Drew’s Uncle, Kent Carter, also played for the Tiger-Cats from 1976-78.